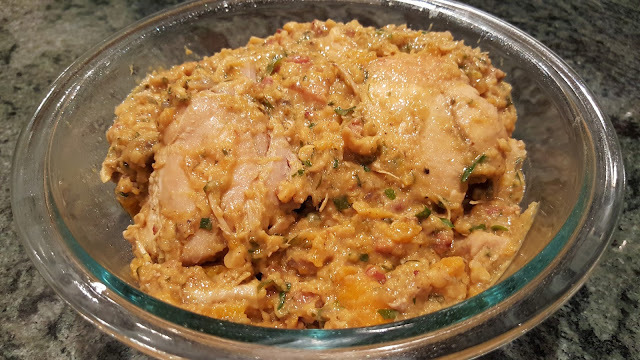 As diabetics, we don't have to starve, we don't have to forgo tasty meals, we just need to find new ways of cooking and make some substitutions for high glycemic index ingredients. 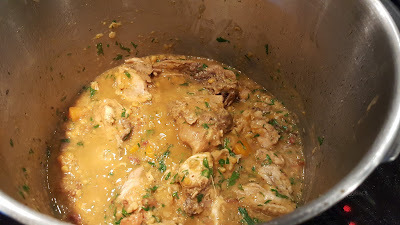 Six hours before you plan to serve the Chick-Chick, place the lentils in a medium size saucepan, cover with two or more inches of water, and bring the pot to a boil. When the lentils have boiled for one minute, remove the pot from the heat, place a cover on the pan, and allow the lentils to soak until you are ready for step 11, below. 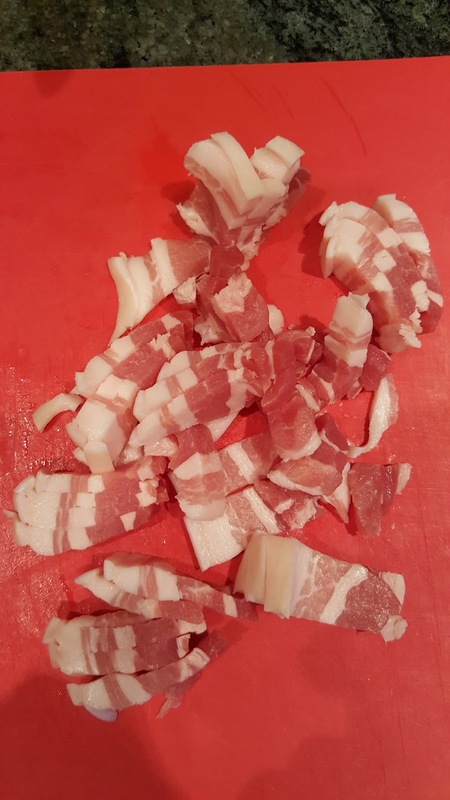 About 2 hours before you plan to serve, prepare the other ingredients by first cutting the salt pork into thin slices and then into approximately 1-cm (or ¾-inch) pieces. Finely dice or grind the garlic cloves. Peel and chop the carrots into bite-size pieces. 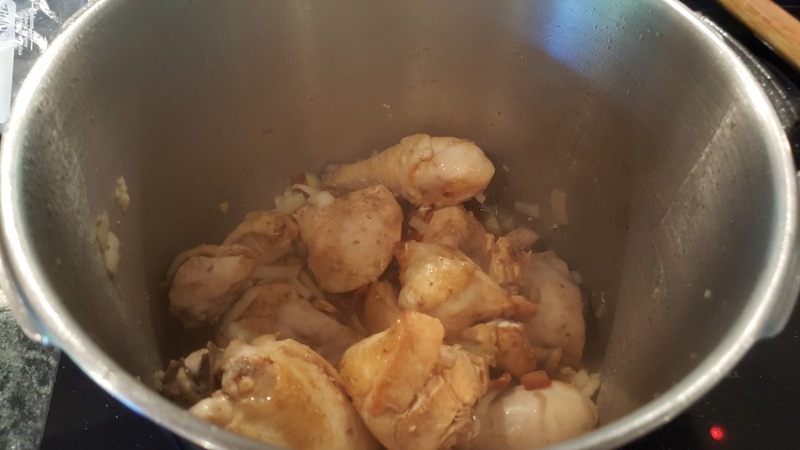 Wash the chicken thoroughly, pat it dry, and chop it into about 12 bone-in pieces—wings, thighs, drumsticks, 4 to 6 breast pieces, and the lower spine piece. Wash the parsley, tie the stems together with twine, and cut the stems off the bunch. Pour enough olive oil into the pressure cooker to coat the bottom, and heat it over medium-high heat. 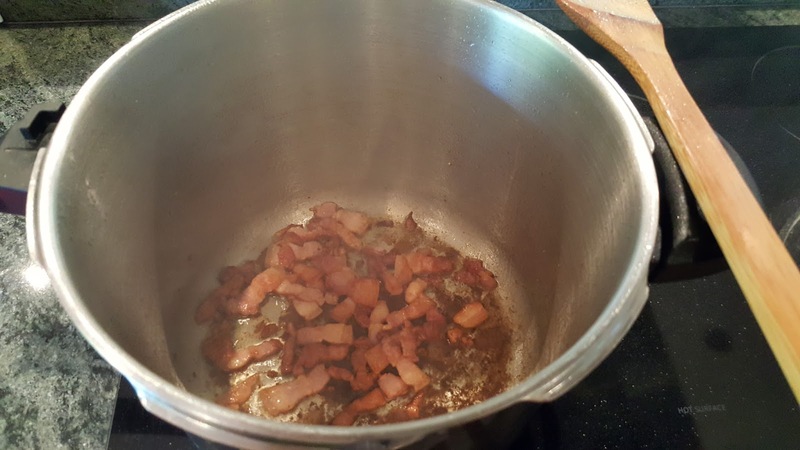 When the oil is hot, sauté the salt pork until it is browned and slightly crisp. Meanwhile, drain the soaked lentils in a colander and rinse them in cold water to remove all of the soaking water. When the salt pork is browned, add the chicken pieces to the pressure cooker and brown them on all sides. Add the onion and garlic, and sauté until the onions are translucent. Add the carrots and drained lentils, and stir to coat them with the olive oil. Add 300 ml (or 1¼ cup) of water. Add to the pressure cooker the parsley stems, tarragon, and bay leaves, salt, and pepper, and stir to distribute them in the mixture. Lock the lid onto the pressure cooker according to the manufacturer's instructions, and turn the heat to high. Cook the chicken and lentil mixture in the pressure cooker according to the manufacturer's instructions for 15 minutes at high pressure (100 kPa, or 15 psi) . Meanwhile, chop the parsley leaves finely and set them aside. When the pressure has subsided, remove the chicken pieces from the pressure cooker and set them aside. 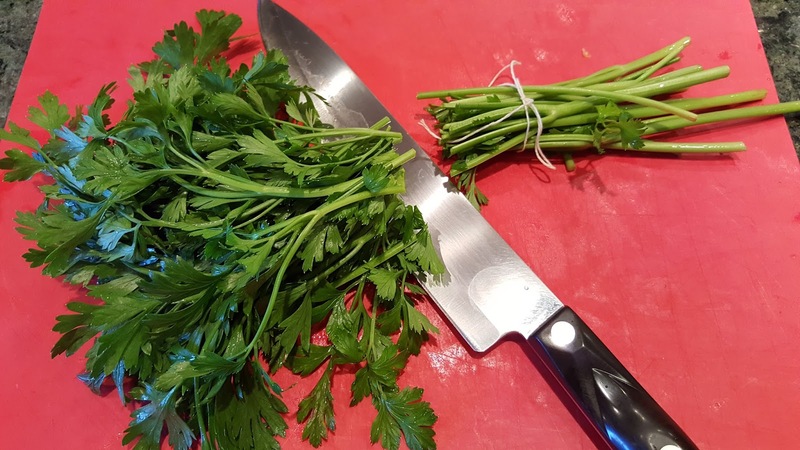 Remove the parsley stems from the mixture and discard them. Add the sherry to the lentil mixture, stirring to distribute it throughout. 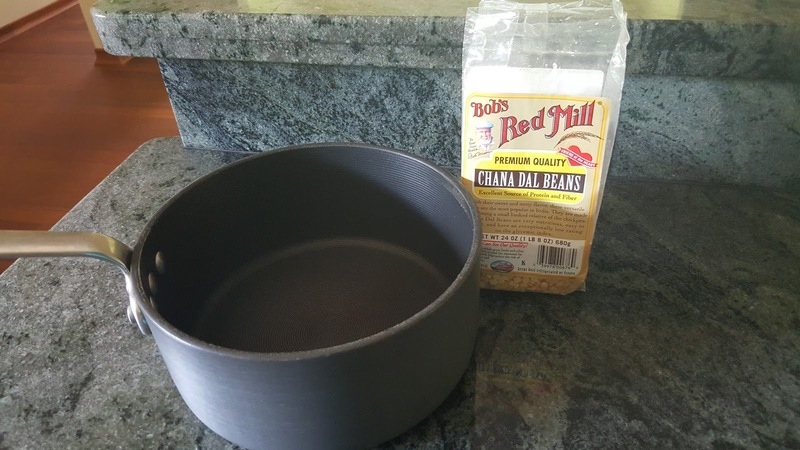 With the lid off the pressure cooker, return the lentil mixture to the stove and cook over medium-high heat for about 5 minutes more, or until it becomes thickened and creamy in texture. Return the chicken pieces to the pot, add the parsley leaves, and stir gently to distribute them evenly throughout. I am a fortunate and happy woman.